New versus old is just one of a number of conundrums homebuyers are likely to face when purchasing a house. While older homes aren't lacking in the charm department, newly constructed houses boast an enticing series of pros that are sure to peak the interests of homebuyers. 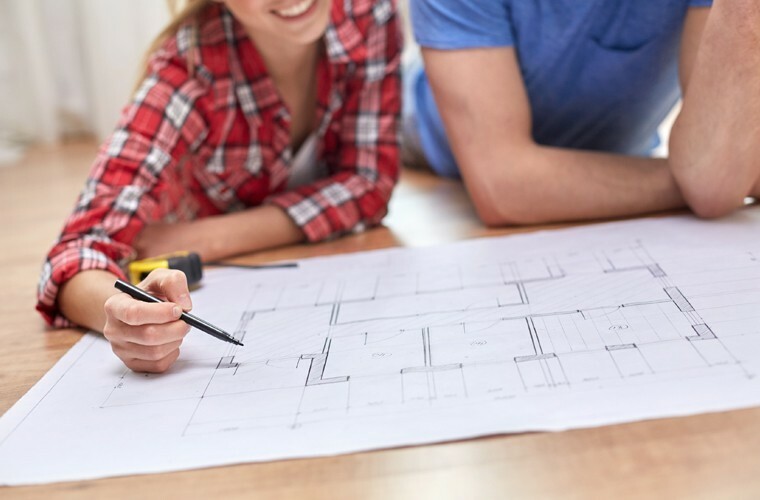 From the ability to easily incorporate modern amenities to the potential money-saving benefits, these are just a handful of reasons why a newly constructed house is a worthy option for those on the hunt for their next home. The allure of a charming, old home can be nearly inescapable for homebuyers, but so is the cost of modernizing an older home. With a newly-constructed house, there is no need to play catch up with outdated appliances and other at-home features. Additionally, playing catch up with an older home can quickly result in thousands of dollars being spent, a cringeworthy option for homebuyers already dishing out serious cash. When a house is being built from the ground up, an open kitchen layout or a double-sided fireplace become mere requests as opposed to months-long renovation projects. Additionally, a home with modern features already installed will likely boost the value of a home once it's time for resale. With all things shiny and new, less maintenance is usually required. The same applies to a newly constructed house. Due to the already hefty cost of purchasing a new home, repainting walls or fixing busted pipes is the last thing homeowners want to deal with within their first year of ownership. But if the idea of a home equipped with all things shiny and new seems a little on the stiff side, there are ways to give your house a more homey, lived-in feel. Repurposed furniture and inviting wall colors (think peach, amber, and teal) are an easy way to kick up some cozy. For those looking to add a splash of their own personality to their new home, it's much easier to do so with a newly constructed house. Think of it as working with a clean slate versus one that's become caked up due to years worth of use. Older homes come with personalities all their own, which can be a plus for some, but can be hard to erase. If you want to incorporate your own style, a newly constructed house is the more manageable option. Given that customizable technology exists far beyond smartphones and computers, new homebuyers are inspired more now than ever to incorporate tech into their homes. Given that a home built before World War II likely wasn't constructed with remote control window blinds or WiFi thermostats in mind, older homes and at-home technology can clash at times. Even a home built in the 90s can become a hindrance when you're looking to give your home the Jetsons treatment. While making your house tech savvy can be as easy as purchasing a smart TV from your nearest big box store, if you're looking for more complex options, having a home built with these options in mind will likely warrant less of a headache. Making a series of wise, financial choices when purchasing a newly constructed house can result in money saved. By simply being one of the first buyers in a new neighborhood, you're likely to score a deal from builders eager to get the ball rolling with their newest development. Additionally, if the idea of dozens of people having walked through your potential home isn't too cringeworthy, there is the option of buying a model home. Model homes are newly-constructed, but are likely to sell for less given that they have served as models. In the end, it's likely that choosing a newly constructed house could be cheaper than purchasing an older home. In addition to newly constructed houses being built with modern features and technology in mind, the neighborhoods they're built in are just as savvy. Builders are fully aware of the active lifestyle their potential clients live, so now more than ever, extra emphasis is being placed on community amenities. Among the most jaw-dropping of community amenities are resort-style pools and country club memberships. In addition to featuring superb community amenities, some newer neighborhoods are being built in locations so central they're a mere hop, skip, and a jump to supermarkets, restaurants, shops, and mass transit. Making newly constructed houses a prime option for those looking to lessen their carbon footprint.